Am I grateful to reflexology? You betcha! I recall first hearing about ARCB® during my training and thinking, “Not for me.” Never being a good test taker, I couldn’t see the logic of putting myself in an additional stressful predicament after working so hard to complete my school certification. With the letters ‘ARCB®’ rolling around in my head and the students being encouraged to test, I decided to give it a go. After all, wasn’t it up to us to be the best we could be and to support professionalism? Far be it from me to thwart professionalism, so I entertained the notion that maybe this time sitting for a test might be different. Needing all the help and support I could muster, I took a prep class, sent in my application and received the legendary Foot Study Guide. Determined to reverse my academic history, I studied for six months by myself and with a study group, and finally tested in June 2001, in New York City. I’ll never forget that day—a typically hot and humid summer day. There I was all polished and professional looking, a bit cocky and somewhat confident. I used up every minute of the allotted time for the written exam and sweated profusely through the practical. After what seemed like nine years of waiting, but was really only a month, I received an envelope from ARCB® with a congratulatory letter and my certificate. It literally changed my life and set me on a path I had no idea was possible a couple of years prior. 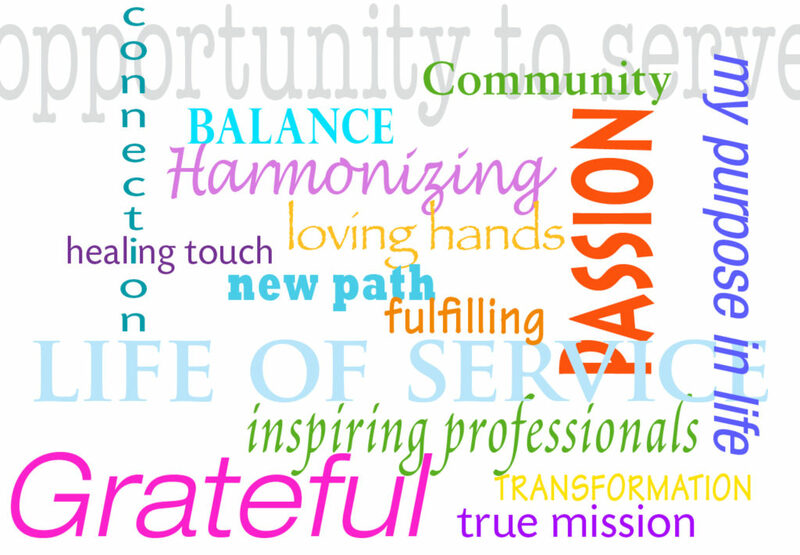 The tapestry that is the reflexology community is represented beautifully through the word gratitude. This work gives me the opportunity to reflect on my experience. Asking myself what I am grateful for about reflexology was a no-brainer. Hands down (no pun intended) it is the people. I am forever thankful to my teachers, who deftly taught the techniques and theory of reflexology, along with the talented and varied instructors of the numerous workshops I’ve enjoyed over the years. It is their passion that ignited my curiosity. The folks I’ve met in my time working on the board of the New York State Reflexology Association, and currently on the ARCB® board, have enriched my life immeasurably. Each and every one, dedicated and focused, possessing remarkable perspicacity. The experiences of national and international conferences bring the element of travel—which I absolutely enjoy—but more importantly it is the people I’ve had the privilege to meet. The exchange of ideas, and professional experiences with reflexologists from around the world has been a highlight of my career. Yet spending time and enjoying the company of so many wonderful human beings after the day’s work was finished holds some of my most fond and fun memories. My experiences with the people of reflexology contribute to the matrix of my professional experiences. It is these experiences that fold into my practice and protocols that I give to my clients. Were it not for them, I wouldn’t be able to do what I most love doing. A divine circle, indeed!